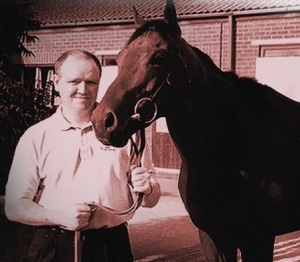 Way back in 1996 Stuart McCallum founded A1 Racing a private subscription service aimed at professionally minded punters who took their racing seriously. The service achieved 21 winning years from 22 with huge overall profits accumulated during those 22 years. SM "The service was based on genuine racing information combined with a value betting concept which made it an extremely profitable service. However, it was not cheap to join and rightly so considering the annual profits achieved. Members were asked to fork out up to £1,000 to join which was out of reach for most which is why I launched the A1 Racing Odds To Win Service whereby members place only £15 on each bet they participate in and pay the SP odds to that £15 a by far cheaper way of getting on board with A1 Racing as a member on a No Win No Fee basis. It's a fair deal for both parties in that the service has to be profitable long term for members and A1 Racing for it to work. There are far too many so called tipster services out there these days that do not receive genuine racing information and are clearly just poor at what they do. I have been betting professionally on race horses for over 30 years and as a result have accumulated great wealth and I can honestly say that this is only achievable by betting smart and by betting professionally." Stuart has owned racehorses for over 20 years the image on the left was taken back in 1998 with the impeccably bred Nash House who was made favourite for the Epsom Derby after he won his Maiden as Newbury. No stranger to the winners enclosure in the A1 Racing colours Stuart has had many winners including stable touches at up to 14-1. The trainer's that Stuart has had winners with include Kevin Ryan, Richard Fahey, Bryan Smart, Paul Cole and George Baker. He has also worked on a professional level with the likes of TV pundit and presenter Jason Weaver and racing commentator Derek Thompson. His network of contacts include so many high profile owners and head lads in the industry that makes him well and truly in the know wether it be on during the Flat Season or the AW and National Hunt Season. He also employs an analytics and algorithm for his service to work on a consistent level, there is basically no stone unturned for the service to profitably thrive long term for members.